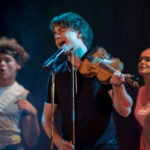 In Ostrava, the Belarusian singer, violinist and winner of the Eurovision Song Contest Alexander Rybak will perform along with singer Patricia Janečková. Both in October at the Gong Multifunctional Hall in Dolní Vítkovice will accompany the Janáček Philharmonic Orchestra under the direction of Chief Conductor Heik Mathias Först. CTK spokesman Jana Knižátková said today. 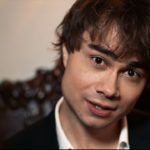 In the program of the October concert, Janečková, together with Alexander Rybak, will sing for example Gershwin’s Summertime. Visitors can also enjoy Rybak’s hits, headed by Fairytale or Europe with Skies, complete with well-known evergreens. The concert will take place on October 4th. Rybak is an artist working in many disciplines. 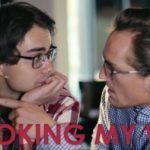 He plays violin and piano, composes music, plays in a movie, organizes music workshops for children, plays and plays nights and plays in remote places. 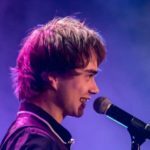 “This talented young man was born in Belarusian Minsk, but he moved to Norway with his parents at the age of five, where he not only studied violin.” said Knižátková. 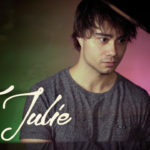 She added that he was the European star after winning the Eurovision Song Contest in 2009. “He won with his own song called Fairytale, inspired by the aforementioned tours of the Norwegian islands, and Fairytale became a Europe-wide hit that opened the door to concert stages not only in Norway, but also in Sweden, Finland, Russia, Ukraine, Belarus, the United Kingdom or the USA, “the spokesman said. She has been singing out of a young age in Ostrava where she studies opera singing under the direction of soprano Eva Dřízgová-Jirušová. “She also has a number of successes, including winning the Talentmania in 2010, or winning the world’s Concorso Internazionale Musica Sacra in Rome,” Klačátková said.